Michael takes Prince, Paris & Blanket to a family day at Hayvenhurst. This is the first time since 1988 that Michael, Janet & LaToya spend time together at Hayvenhurst. Michael, who is in Miami , gives an interview to tabloid The Globe where he speaks for the first time of his pain from the spider bite and he shows a picture of his leg. Dieter WIesner & Ronald Konitzer officially take over Michael’s management in a written agreement. The first act is to fire MIchael’s previous managers Trudy Green & Howard Koffman. They also work on a plan named MJ Universe which Is supposed to relaunch Michael’s carrer. Michael gives his final interview to Martin Bashir in his Miami Hotel. The same day, he hears that Maurice Gibb has died from an heart attack. Michael pays a last respect to Maurice Gibb at the MIami Chapel with his brother Barry. Michael, Prince & Paris have dinner with the Malnik family in Miami. The Cascios join Michael in Miami (Frank, Aldo & Marie Nicole). Mark Lester is also there. Wiesner & Konitzer try to block the airing of Martin Bashir’s documentary after obtaining the final transcrpit. Living With MIchael Jackson, the Martin Bashir Documentary is premiered in on ITV and gets phenomenal ratings! A huge controversy arises in over Michael’s admission that he loves to share his bed with children & his interview with Gavin Arvizo. Gavin’s mother, Janet Arvizo agrees to give an interview to the London Daily Mail where she defends MIchael against $4000! Michael calls gavin and asks him to come to MIami to do a press conference. Following Marc Schaffel’s idea he also calls Debbie to ask her to do an interview for him. Gavin, his mother Janet, brother Star & sister Davellin go to MIami on a private Jet with Chris Tucker. Once arrived, they check in the Turnberry Isle Resort where MIchael & his friends stay. Marc Schaffel convinces Debbie to come to his house and do an interview for MIchael by promising her that she will get to see her children. Debbie gives a long interview to journalist Ian Drew in the presence of her lawyer/friend Iris Finsilver, Marc Shaffel, his assistants Christian Robinson & Rudy Provencio, as well as MIchael’s new spokesman Stuart Backerman. Jordy Chandler’s 1993 deposition is leaked on the Smoking Gun website which create a new controversy. In Miami , Wiesner & Konitzer asks Janet Arvizo to sign a complaint against Granada Television, the company which produced LWMJ. 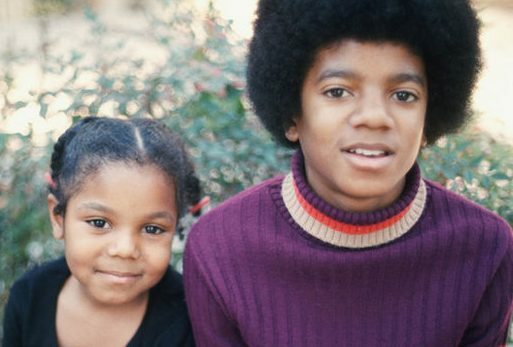 LWMJ is aired on American’s network ABC. Michael decides to cancel the press conference and return to Neverland to give an interview. He leaves Miami in a private Jet with Prince, Paris, Blanket, their nannies Grace & Patricia, his physician Dr Alex Farschian, Marie Nicole & Aldo Cascio, the bodygards Mike LaPerruque, Chris Carter & Danny Crawford as well as Gavin, Star, Davellin & Janet Arvizo. CBS Entertainment (Ed Bradley & Jack Saussman) arrive at Neverland in order to interview Michael for their show 60 Minutes but MIchael cancels the interview when he hears about the leak of the Chandler deposition. Bradley does get to meet Gavin & his family (who volunteer to give an interview to defend Michael!) as well as Mark Geragos, MIchael freshly hired criminal lawyer who came to Neverland to meet MIchael and make Gavin’s mother sign a release stating that Michael’s relation with Gavin was never innapropriate. With the outtakes from the Martin Bashir interviews captured by Michael’s cameraman Hamid Moslehi, MIchael asks his team (Schaffel, WIesner & Konitzer) to produce & sell a rebuttal TV documentary. David LeGrand hires his girlfrend Ann Gabriel as a consultan for Michael’s PR Team. Gavin, Star, Davellin, Marie Nicole, Ann & Silvana Ruiz go shopping close to Neverland. Janet Arvizo gets a body wax in a beauty shop close to Neverland. Michael’s friends, Mark Lester, Robert Evans, Miko & Karen Brando (with their children Prudence & Shane) come to Neverland to suport him. Wiesner & Konitzer (with his family) also stay over at the ranch to work on the TV rebuttal. Michel host a Spiderman theme party for Prince’s 6th birthday at Neverland. Franck Cacsio/Tyson arrives at the ranch and he calls Janet Arvizo on the phone (recording the conversation) to ask her to come back to Neverland in order to avoid the media frenzy. Janet & her children go to her boyfriend’s appartment, Jay Jackson. Ann Gabriel is fired by Mark Geragos after wanting to appear on US TV show Access Hollywood as Michael’s Spokesperson. Bradley Miller (Geragos’ private investigator) comes to Jay Jackson ‘s to record a tape interview of Gavin, Star, Davellin & Janet where they defend Michael. LA Family Service calls Janet Arvizo to set an interview betwwen her children & social workers on February 20. Hamid Moslehi goes to Neverland to pick up Gavin, Star & Davellin and take them to his house while Vinnie Amen (a friend of Franck) pick up Janet Arvizo & Jay Jackson. In the presence of Wiesner, Brad Miller, Christian Robinson & Jay Jackson, Janet & her children tape a long interview where they defend MIchael. After the taping ends, Vinnie takes the family back to Jay Jackson’s. The interview is supposed to be included in the TV rebuttal but Moslehi asks $ 400 000 that he is owed for the Bashir outtakes which Schaffel & Wiesner refuse. Michael leaves for Miami with his children and they stay at Al Malnik’s mansion. 3 social workers come to Jay Jackson’s to interview Gavin & his family. Once again they defend Michael and say nothing innapropriate ever happended. TAKE 2 : The Footage You Were Not Meant To See is aired on FOX TV. It includes the outtakes of the Bashir interview & the interviews of Debbie, the Jackson family, Karen Faye, Hamid Moslehi & Jamie Massada. Janet Arvizo is back at Neverland and she defends MIchael to Fox News’ journalist Rita Cosby who came to the ranch to meet them. Following the advice of her friend Jamie Massada, Janet consults a lawyer named William Dickerman. Michael host Blanket’s first birthday party at the Malnik’s house in Miami. Franck & Vinnie take the mother to the Laugh Factory where she has a second meeting with Dickerman. After that, they take the family to the Calabasas Inn where they stay for 5 days in order to obtain the Visas and look for a new appartment paid by Michael for the family. Franck & Vinnie take the family back to Neverland where they meet MIchael & his children who are back from Miami. Michael’s cousins, Rijo & Simone Jackson arrive at Neverland. LaToya gives her first interview on US TV since 1997 appearing on CNN’ s Larry King Live to announce an upcoming album titled “Starting Over”. Later that week she also appears on The View. Michael & his children stay at the Beverly Hilton Hotel in Los Angeles. The Brazil trip is cancelled. On his way back to Neverland, Michael invites several fans that he know well (Joanna Thomae, Jen Winings or Ahmad Elatab) to spend the day with him at the ranch and on a shopping spree at the local Toys ‘R Us and they all witness the complicity between Michael & Gavin. Vinnies takes Gavin to the hospital for a urine test. On the way back, he drops Janet at her boyfriend’s and takes Gavin back to Neverland. Janet is recording her new album in L.A with Lewis & Jam. Vinnie takes Janet to the Los Angeles family court where she obtain an incrase of her ex husband child support. Janet calls Franck & Vinnie to ask them to take her children to their grandparent’s in El Monte because they are supposedly sick. The family officially moves in Jay Jackson’s appartment and cuts every contact with Michael & his team..
Michael is ordered to pay $5,3 million to concert promoter Marcel Avram for the cancellation of the Millenium Concerts. William Dickerman sends a letter to Mark Geragos asking for the family belongings to be returned. Michael goes to Acapulco in Mexico with the Malnik family, Brett Ratner & Chris Tucker for a movie project. Michael & his children go back to Miami where they are the guests of Al Malnik. Michael & Chris Tucker visit lawyer Willie Gary in Stuart (Florida). Janet attends the Mercedez Benz Fashion Show in L.A.
Michael, Chris & Brett have dinner at the Forge Restaurant in Miami with Al Malnik & Serena Williams. Michael hosts a party for Paris 5th birthday at Al Malnik’s home in Miami with Prince, Blanket, Grace and the Malnik family. Michael makes a surprise appearance at the Palm Beach Film Festival Grand Gala Awards Show joining Chris, Brett, Robert Evans & Al Malnik at the centre table. During a shopping spree in Santa Monica ( California ) with Prince & Paris, Michael meets his sister LaToya! Michael Jackson : Private Home Movies airs on Fox TV. Michael hosts this two-hour special from his cinema in Neverland. Janet, JD & LaToya attend the annual Barnstable-Brown pre-Derby Party. Janet, JD & LaToya attend the Kentucky Derby race. Michael returns to Acapulco for a three days stay. Janet & Gil go to the gay bar Splash in NYC. Michael files a lawsuit in the Los Angeles Superior Court seeking unpaid royalties for his Motown recordings. Janet & JD attend the premiere of Matrix 3 in NYC. Janet celebrates her 37th birthday with JD in NYC. Wearing Seventies clothes and an afro wig, Michael attends a party at Miami’s Forge night-club for owner Al Malnik’s 70th birthday with Aldo Cascio, Chris Tucker, Brett Ratner & Wiesner among others. Michael arrives in Indianapolis with his cousins Rijo, Simone, Elijah & Levon. He came to give a deposition in court following a lawsuit brought by Steeltown Records boss Gordon Keith. Before he is able to give his deposition, Michael is taken ill and decides to fly back to LA. Michael takes Prince & Paris at Universal Studios in Los Angeles. Michael attends a party at Robert Evans’ house to celebrate the launch of Brett Ratner’s book. Later, Michael show up at a MTV Movie Awards post party at Ron Burkle Beverly Hills Mansion in Beverly Hlls where he meets Puff Daddy & Paris Hilton among others. Michael attends the National Cable Telecommunications Association conference in Chicago with Chris Tucker to support his brother Marlon and his channel MBC. He then returns to Indianapolis. Michael finally gives his deposition in Indianapolis before going to Merville. Michael hires Charles Koppleman as a new business adviser. The lawsuit between Myung-Ho Lee and Michael has been settled out of court. Michael attends a Rainbow/PUSH Coalition breakfast planning meeting with Reverend Jesse Jackson in Chicago. Michael is back in Los Angeles. Michael invites the German family Wolf to Neverland. Michael is one of the 3000 people who attend a memorial service for Gregory Peck in Los Angeles. Michael makes a surprise appearance at the BET Awards at the Kodak Theatre in Hollywood to present James Brown with a Lifetime Achievement Award. LaToya also attends the ceremony and poses with Michael backstage. After Katherine Hepburn dies, Michael supports her family. Michael goes on a boat in Santa Monica where the ashes of Barry White are thrown in the sea. Michael hosts the Joe Jackson Day in Neverland (attended by Jermaine, Jackie, Tito, Janet, JD & LaToya) but after too many people show up, he decides to leave the ranch with his children and go to Monterey to spend the week end. Michael celebrates his 45th birthday at Neverland with family & friends. Michael invites a young singer named Nisha Kataria to live at Neverland for 6 weeks in order to record a song with her. Dieter Wiesner becomer her manager. It is announced that Janet has signed on to portray Lena Horne in an upcoming ABC TV biopic. Michael invites a group of fans to spend the day with him, Grace & the children at Neverland. Michael goes to Toronto to study new 3D techniques. He gives a telephone interview to DJ Rick Dees of US radio station KISS FM. Michael goes back to Neverland. Michael opens the gates of Neverland for a special charity day with many celebrities such as Mike Tyson, Rodney Jerkins, Chris Tucker, Nick & Aaron Carter. Michael shows up for 5 minutes to thank everyone for coming. Janet is presented with an humanitarian award during a private gala with JD, Katherine, LaToya, Jermaine & Jimmy Jam among others. During a charity event at the Beverly Hills Hotel, Michael presents the Medical Visionary Award to his Dr Alan Metzger in recognition for his work to aid LUPUS patients. 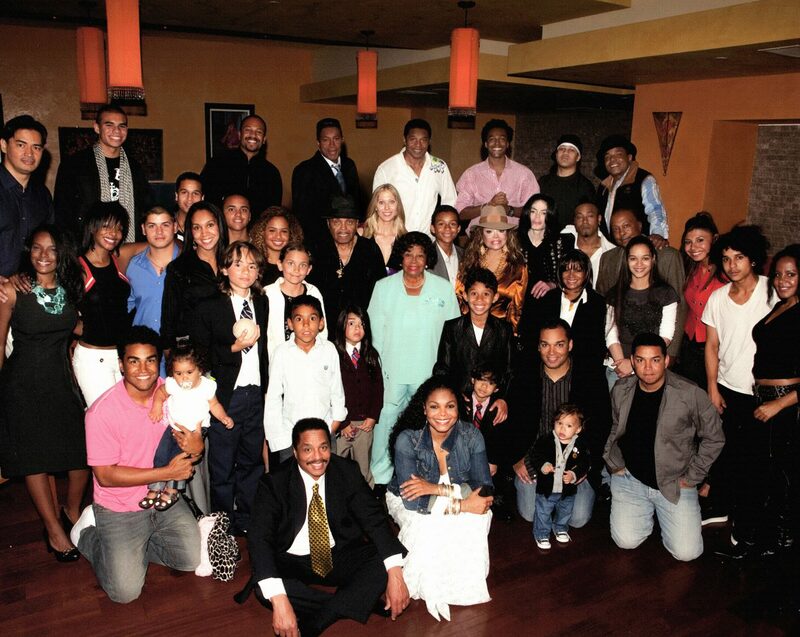 Michael & Janet attend his brother Tito’s 5Oth birthday party with all the Jackson family. Janet & Rene’s divorce dispute is settled out of court. One More Chance, the single from the forthcoming Number Ones compilation is premiered on radios. Janet & JD attend Usher’s 25th birthday party with Jimmy Jam. Michael is in Las Vegas to receive the keys of the city from Mayor Goodman and promote What More Can I Give. He is accompanied by his friend Mark Lester & manager Dieter Wiesner. During a private ceremony, Michael is named Godfather of Mark Lester’s children and Mark Lester is named Godfather of Michael’s children. What More Can I Give is made available as a download on the Internet. In the evening, Michael premieres the video of the song during the Radio Music Awards where Beyonce also presents him with the Humanitarian Award. Janet & JD celebrate Halloween in Atlanta. It is announced that Janet will perform at the upcoming Superbowl half time show. Janet choses Gil as her new creative director she attends the dancers’ auditions. Michael attends a Celine Dion concert in Las Vegas. During the Charity Awards, Michael accepts a Oneness Award via satellite because he is busy shooting the video for One More Chance in Las Vegas . The Number Ones CD & DVD are released in the . Tom Sneddon chooses this specific day to raid Neverland with a search warrant accompanied by 7O members of the Santa Barbara County Sherriff. Other searches are done at Bradley Miller (Mark Geragos’ private investigator) & Hamid Moslehi (Michael’s videographer) ‘ houses. Diane Dimond is the first “journalist” to report the news for Court TV. Michael who is filming the video for “One More Chance” in Las Vegas issues a statement through his spokesman Stuart Backerman. Katherine, Rebbie, LaToya, Jeffre & Jermaine visit him at Villa One at the Mirage Hotel where he has a nervous breakdown. Janet is working on her new albulm with Dallas Austin when she hears that Neverland has been raided by the police. While the news of the Neverland search is covered by every media around the world, DA Tom Sneddon & Sherriff Jim Anderson give a press conference to announce that they have a stop warrant against Michael in connection to new allegations of child molestation made by a 12 year old boy. Media learn that the boy accusing Michael is Gavin. Michael is asked to leave the Mirage Hotel with Grace & the Kids. Michael arrives at the Santa Barbara airport in a private Jet with Grace & his attorney Mark Geragos where he is handcuffed and taken to the Santa Barbara County main jail. He is allowed to walk free after posting a $3 million bail, posing for a mugshot and being advised of the charges against him. Geragos gives a press conference to refute those allegations while Michael returns to Las Vegas. Michael’s mugshot is on the front page of every newspapers in the world. A media frenzy explodes in America & Europe with tons of talk shows being dedicated to this new controversy. Michael & Mark Geragos sue Extra Jet for illegally taping them during their flight from Las Vegas to Santa Barbara. Janet hosts Thanksgiving dinner at her Malibu house with Katherine, LaToya, Rebbie, Austin, Jermaine, Brandi, 3T among others. Michael cuts every contacts with Dieter Wiesner, Ronald Kontizer & Marc Schaffel. Following Jermaine’s advice, he hires the services of extremist group Nation Of Islam to protect him The media say that he wants to convert to Islam which is not true. Prosecutors formally charge Michael with seven counts of lewd acts on a child under 14 and two counts of administrating an intoxicating agent to a child for the purpose of committing a crime during a timeline going from February 7 to March 20 2003. Mark Geragos denies all these allegations during a special interview at the Larry King Show featuring also Jermaine who alleges that Michael was mistreated by the police during his arrestation. Michael returns to Neverland for the first time since it was searched for a private get together entitled “You Are Not Alone” which about 600 friends & family attend (including Janet & LaToya). Michael who does not consider Neverland as his home anymore, moves in a rented mansion in Beverly Hills with Grace & the kids. Michael celebrates Christmas with Prince, Paris, Blanket, Eddie, Aldo & Dominic Jr at his rented home in Coldwater Canyon. From the Beverly Hills Hotel, Michael gives an interview to Ed Bradley (shown on CBS’s 60 minutes 3 days later) in the presence of Mark Geragos, Leonard Muhammad & Grace. Stuart Backerman resigns because of the presence of the Nation Of Islam. While the media declare that the NOI has taken over Michael’s business, a worried Debbie who can’t get in touch with Michael & her children decides to files for visitation rights. The Santa Barbara Sherriff Jim Anderson gives a press conference to denies Michael’s claim that he was manshandled by the police during his arrestation. Michael spends New year’s eve at his Beverly Hills mansion with his fiend Mark Lester who came to support him.